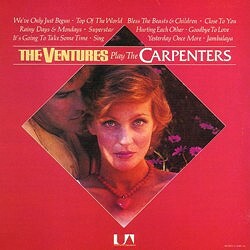 The Ventures’ version of this elegant, haunting smash hit for The Carpenters is very cool and laid-back with the occasional dynamic thrust. The Edwards’ fuzz guitar put on the back-burner for a while, this is one of a number of sensitively treated pieces, with a skilfully judged keyboard accompaniment from David Carr, on a classy album that for me throws into the shade the contemporaneous “peaceful” (Gerry Woodage’s description) Jim Croce set with which it is combined in the See For Miles series. 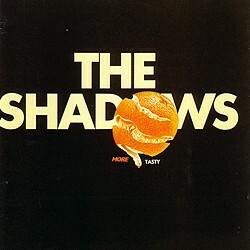 The Shadows’ version is a different kettle of fish:, treated to a lethal overdose of wah-wah and tremolo jiggery-pokery, it was one of the grotesquely OTT covers on the Shadows’ Tasty LP (see on ).